It protects, maintains and enhances the vibrancy of hair colour, wash after wash. This formula combines the nourishing and shine-enhancing properties of Brazil nut oil with the sweetness of Red fruits extract, producing extraordinary shine and vitality. To get protected, glossy hair. 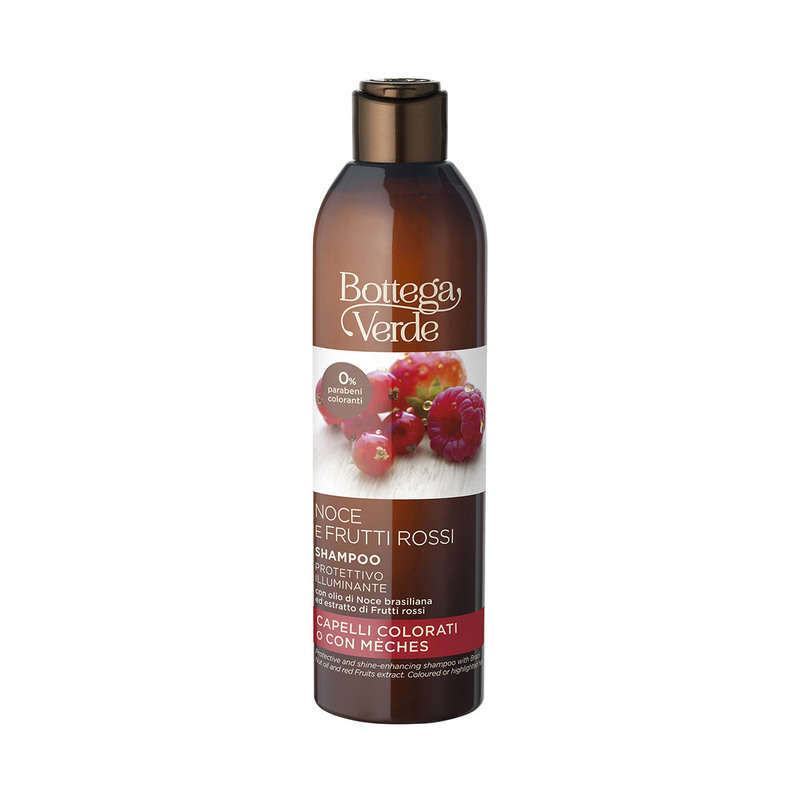 For long-lasting shiny and vibrant hair colour thanks to the combined action of Brazil nut oil and red fruits extracts. Suggestions:For anyone with coloured or highlighted hair. Characteristic:Contains no parabens or colourings.